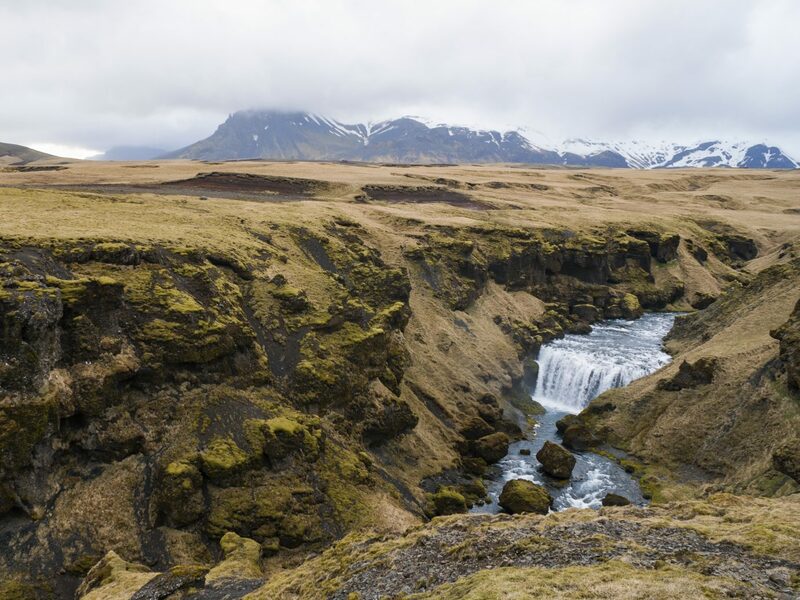 Exploring Iceland's otherworldly landscapes feels like being on a different planet—black-sand beaches, desolate mountains, miles upon miles of lava fields. 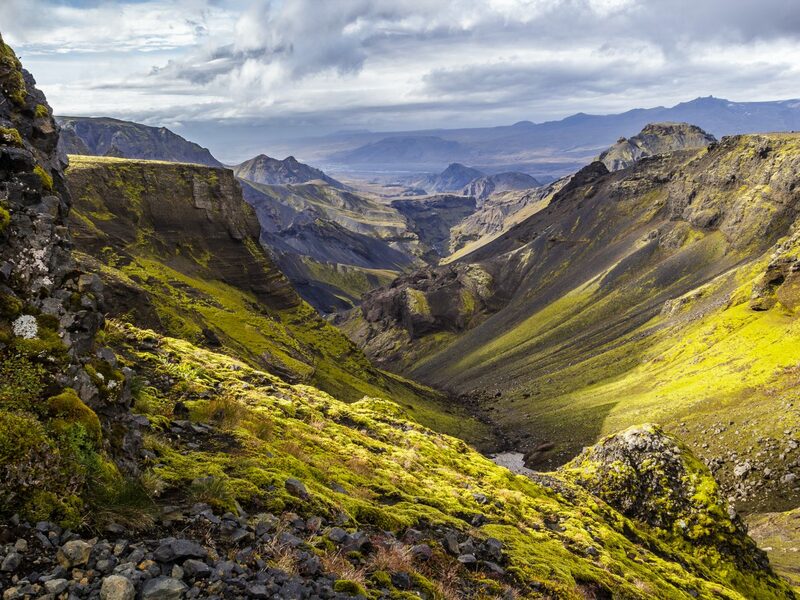 From volcano hikes to snorkeling between tectonic plates, there’s more to do and see in Iceland than you’d ever guess. 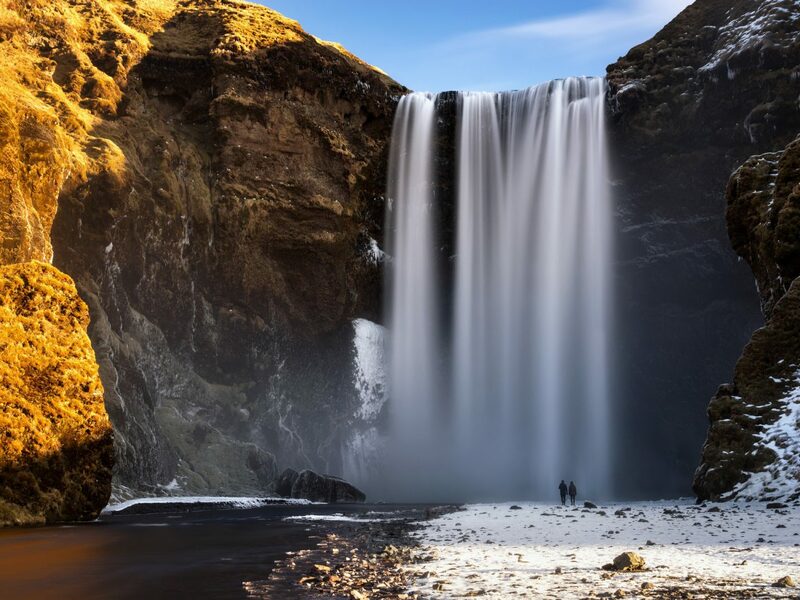 These 13 Iceland tours will show you the best of the country in all its natural glory. 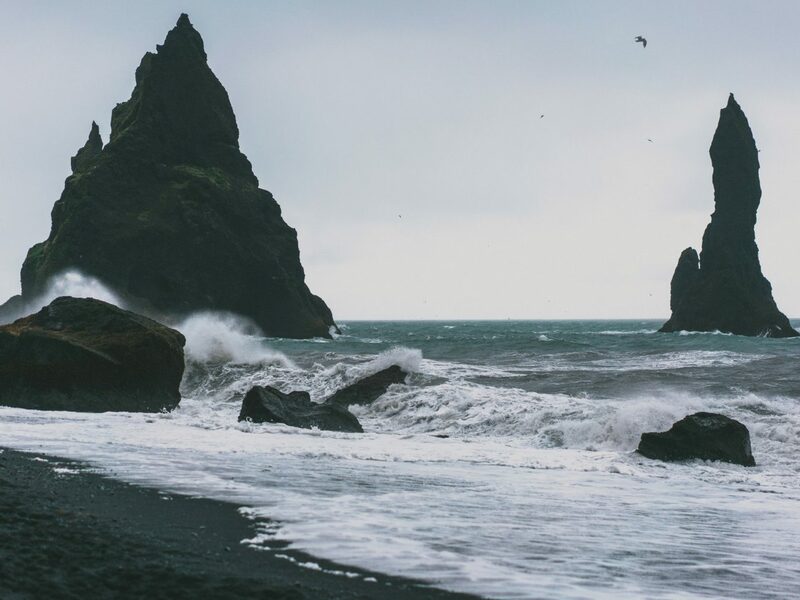 The black-sand beaches lining Iceland are a must-see. Yes, you could theoretically park in a nearby lot and walk toward the water on your own, but we suggest booking a tour with Arcanum, who will set you up on a quad bike for a two-hour high-adrenaline ride through streams, lava rock formations, and black-sand dunes. 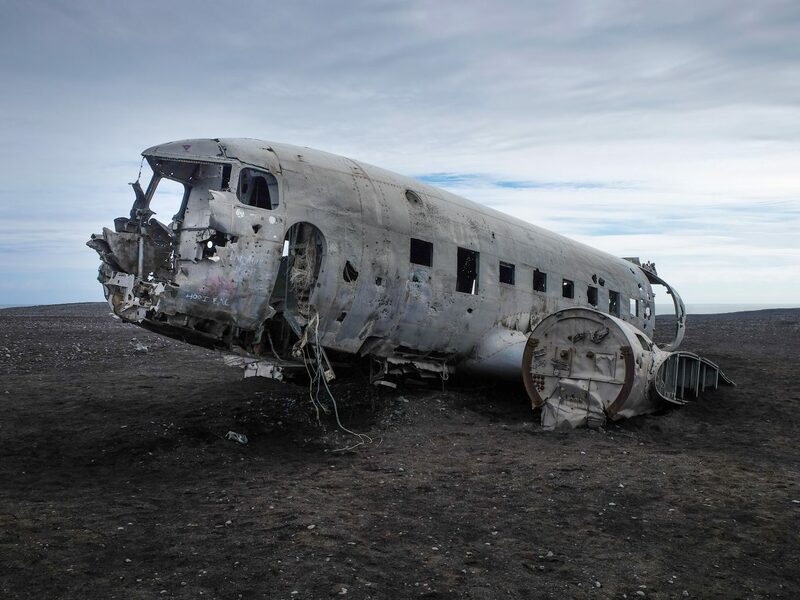 Your route includes a stop at the famed DC3 plane wreck (yes, the one featured in Justin Bieber’s music video). The tour price alone is worth the energy it would take to hike the 2.5 miles to this infamous landmark. 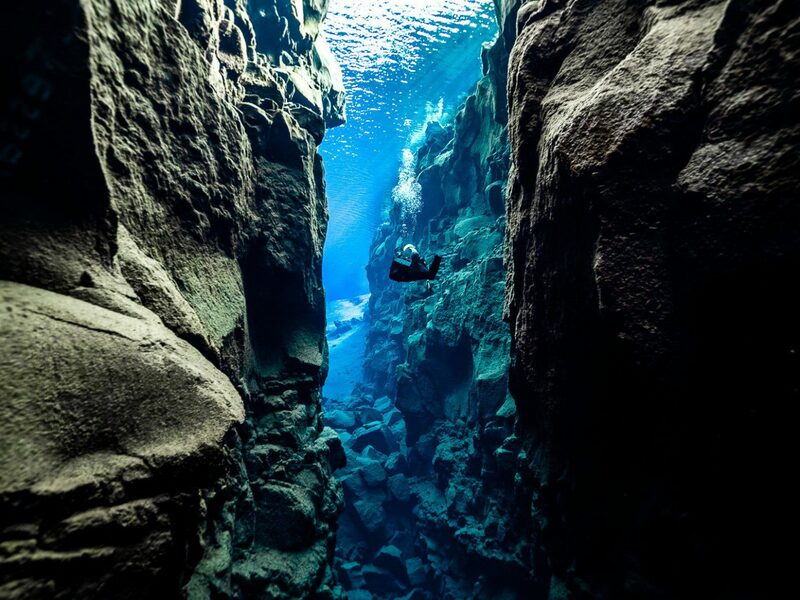 Iceland’s Silfra Fissure is located in Thingvellir National Park, one of the most stunning parts of the country where two tectonic plates sit saddled up next to each other. 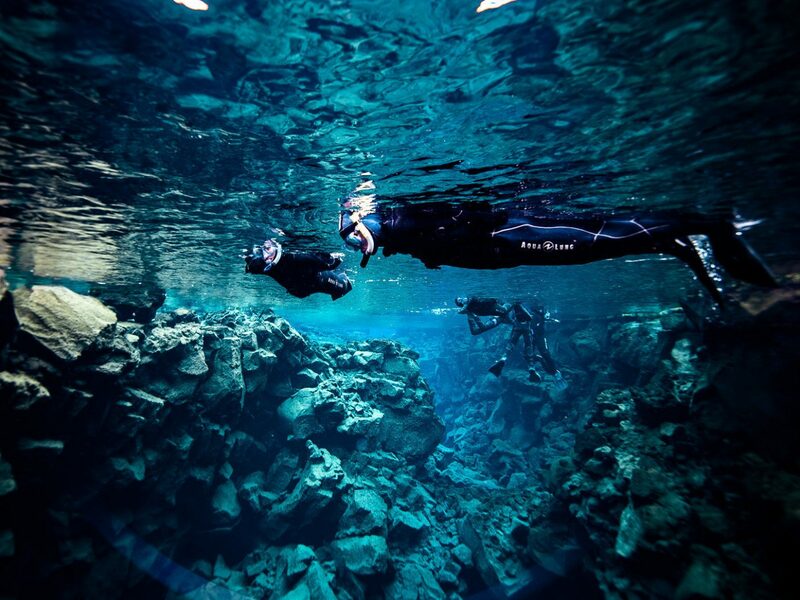 That’s what makes this snorkeling spot so special: the water, which is filtered through volcanic rock, is so clear you can see hundreds of feet below. 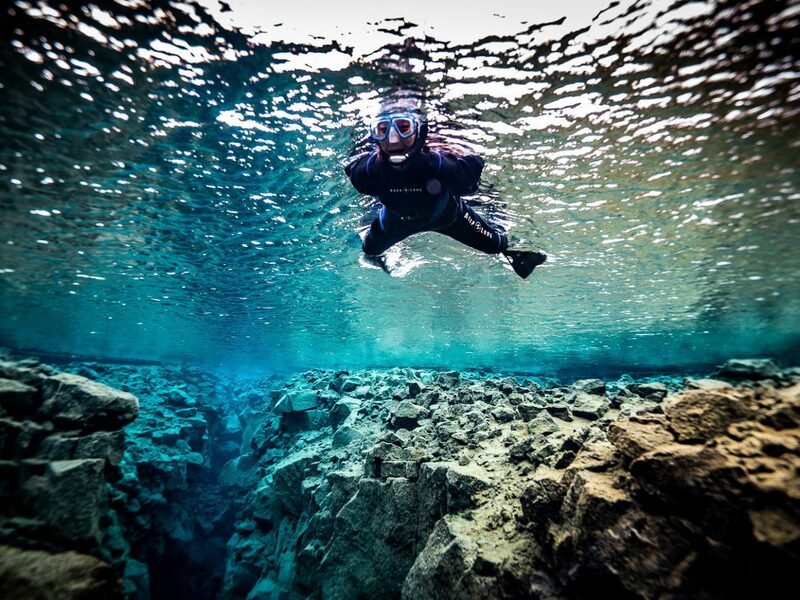 Not only does Iceland Adventure Tours provide the gear you need and guide you through the fissure safely, their team of expert divers also snap photos as you paddle your way between the plates. The snorkeling session lasts about 45 minutes, concluding with few moments to freely explore a small nearby pool. 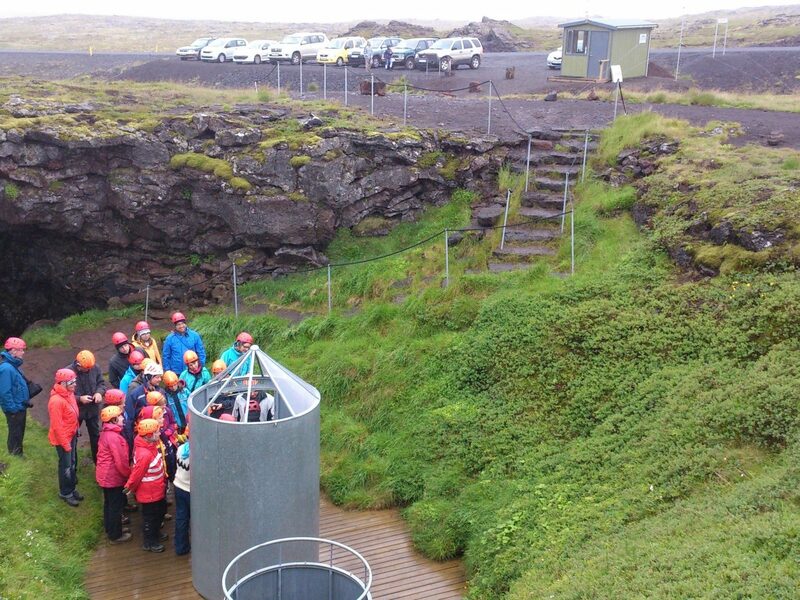 Bonus: they also offer hotel pick-up in Reykjavík and diving for those looking to venture a bit deeper. 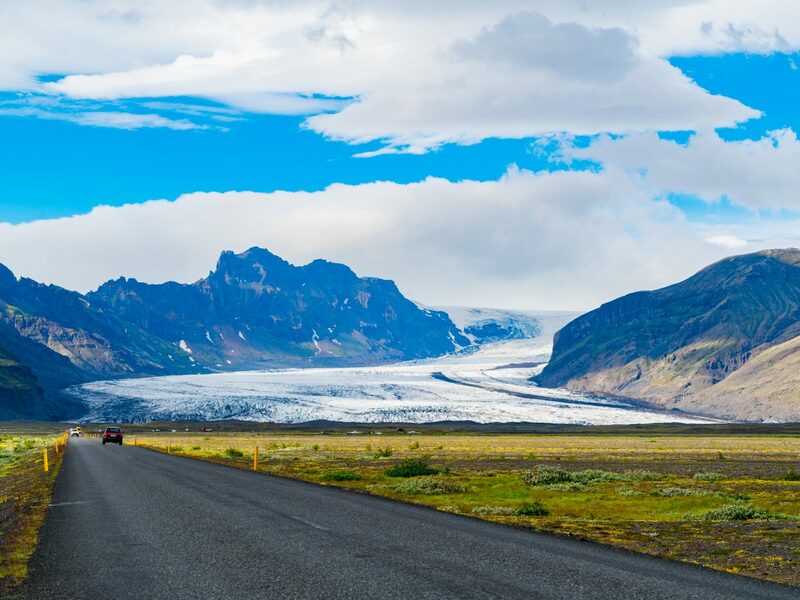 Hidden among Iceland's countless natural wonders is one particularly impressive human-made sight: the world’s largest man-made ice tunnel, carved roughly 1,600 feet through the ice of the Langjökull glacier. 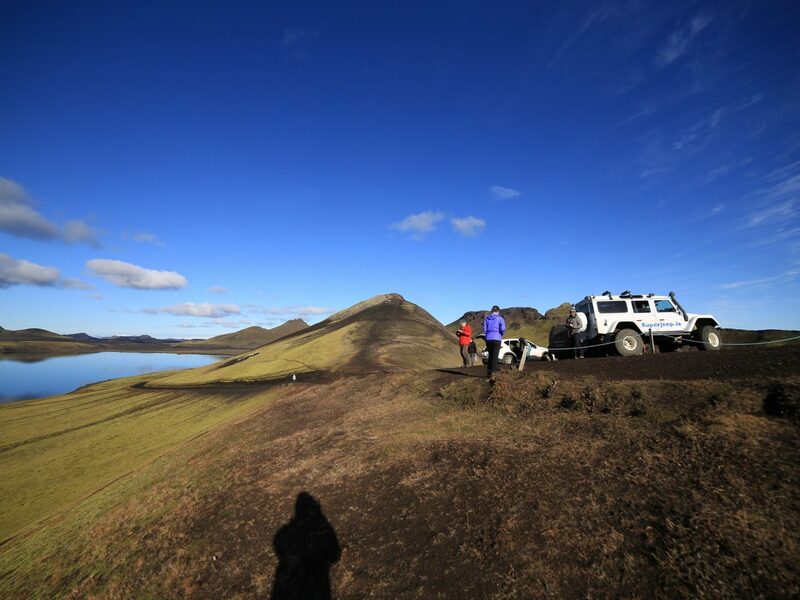 Iceland Unlimited will get you there in a modified monster truck designed to tackle the harsh terrain. 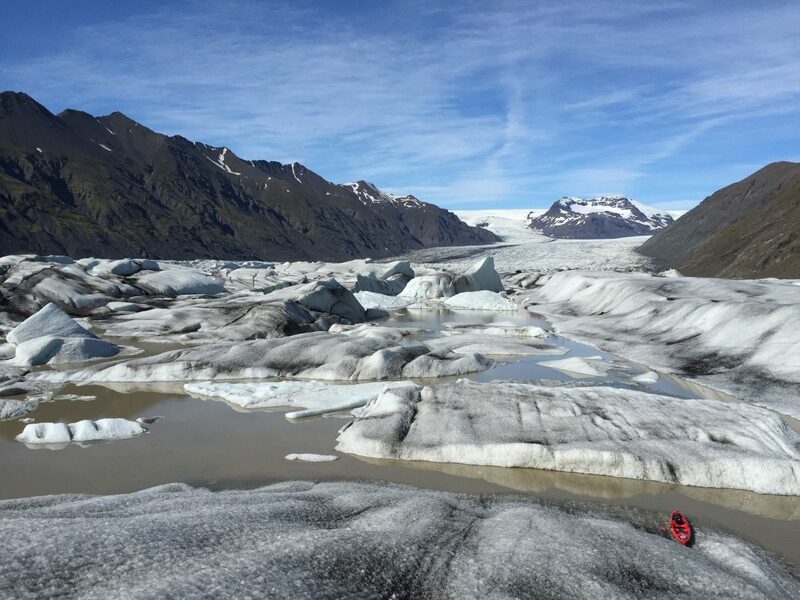 If you’re visiting during the winter, the tour will pick you up at the nearby Husafell geothermal swimming pool; during the summer, groups meet at the Klaki Base Camp near the glacier’s edge before the two-and-a-half-hour tour. 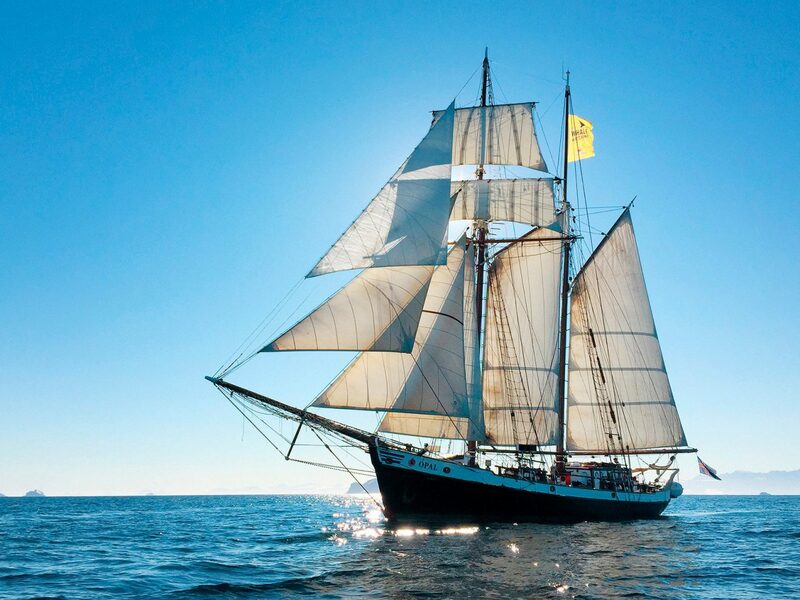 No matter how you get there, be prepared to see bluer blues than you’ve ever seen before. 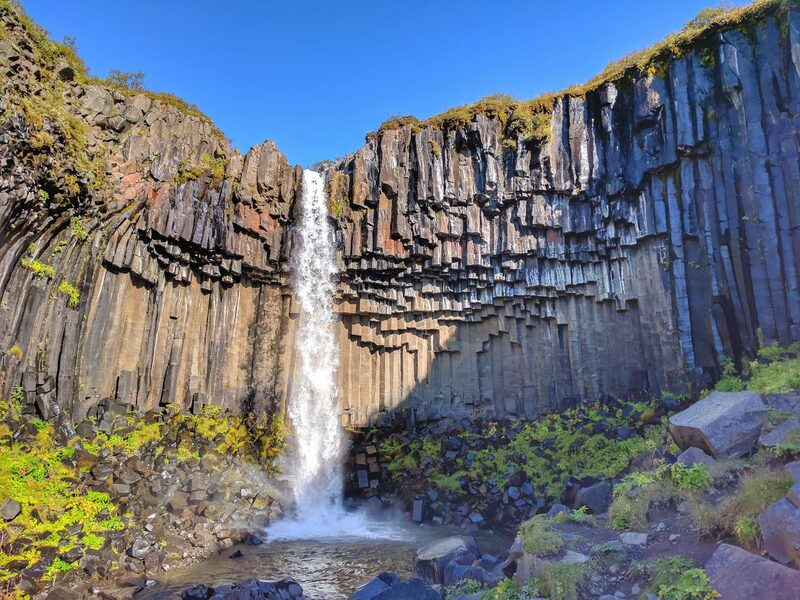 Iceland is home to two national parks, Thingvellir and Snæfellsjökull, the latter of which is where you’ll find the Vatnshellir Lava Cave, a lava tube system that was formed almost 8,000 years ago. 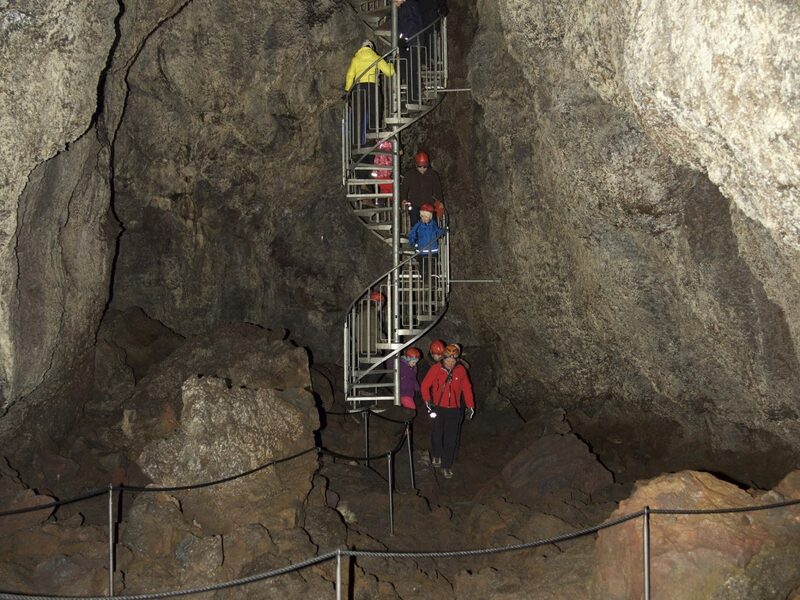 Hey Iceland guides offer lessons in the cave’s geology as you descend almost 115 feet underground to take it all in. 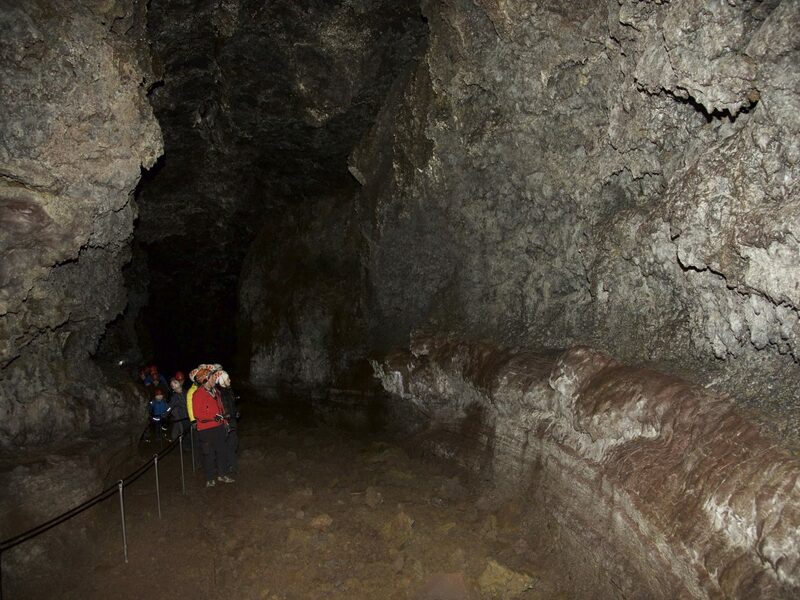 Necessary safety gear (like a helmet and flashlight) are provided, but make sure to arrive in warm clothes and hiking boots; you’ll be taking on some uneven terrain and chilly temps deep inside the cave. Icelandic horses are friendly and oh-so-adorable, and you can’t make a trip to the island and not meet one or two of these curious locals. 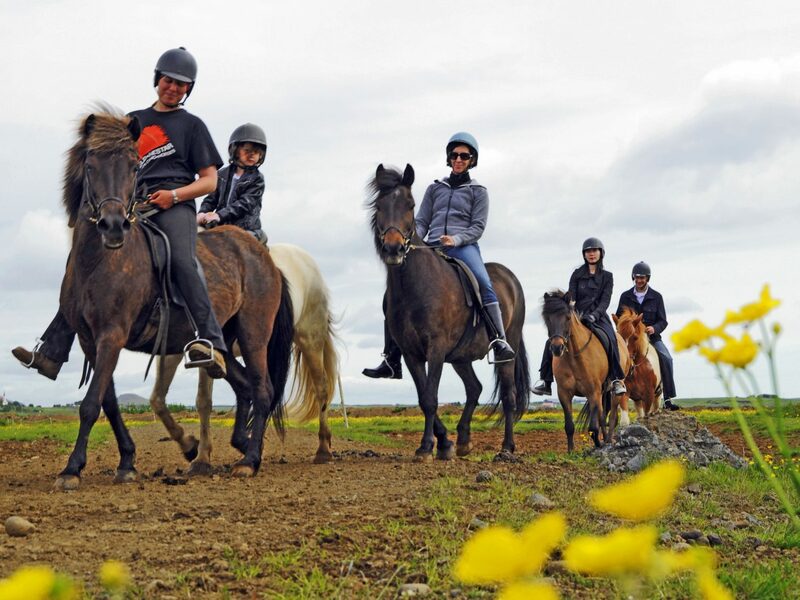 Eldhestar offers a number of various horseback riding tours with themes spanning local history and geography, but the Elfin Tour is one of a kind. 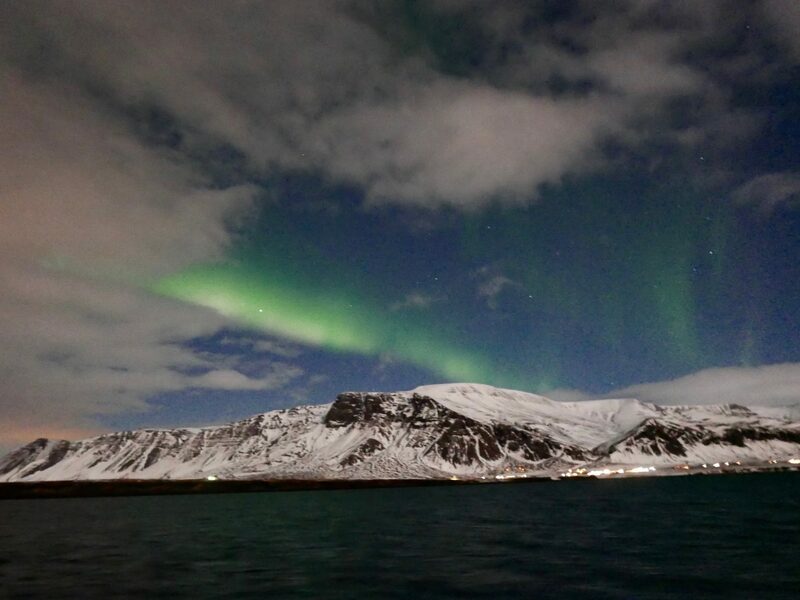 Over two hours, you’ll get a lesson on elves—Icelandic folk beliefs run deep—and visit spots where “the hidden people” live, including a sheep’s home that cannot be removed in fear of retribution from these tiny creatures. 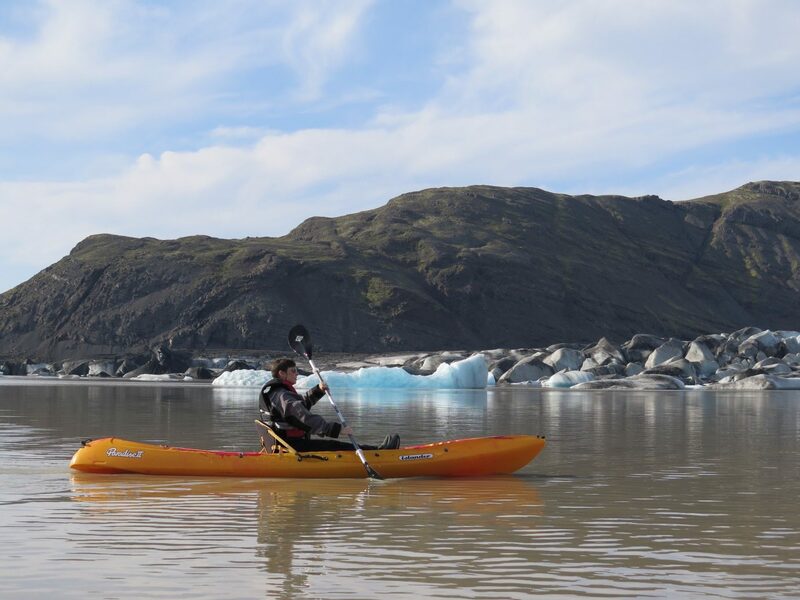 Taking in the ethereal icebergs and ancient glaciers of southern Iceland's Glacier Lagoon is a special opportunity in itself, but if you want to get a bit closer to the ice, check out Ice Guide’s Glacier Lagoon Kayaking Tour. 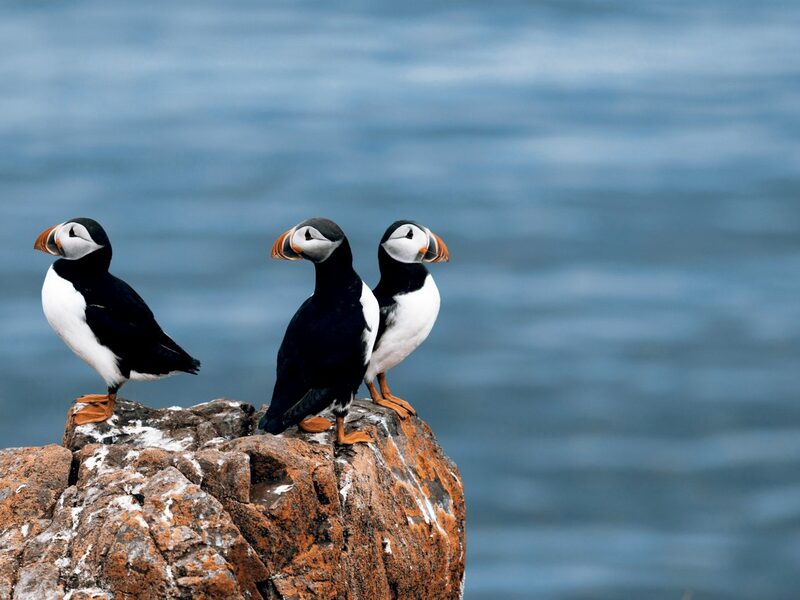 Aside from the jaw-dropping views, you may get lucky and spot some of the local wildlife: curious seals and birds pop up all over the water. JS Tip: Ice Guide will set you up in a dry suit, but make sure to dress warm. 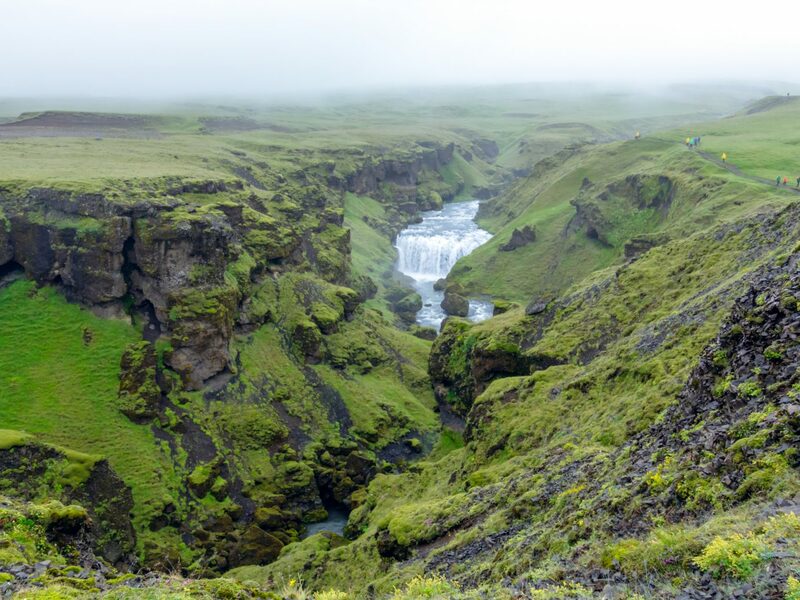 Hiking is a popular pastime in Iceland, but if you’re looking to stray from the more well-trodden trails, it’s best to find a knowledgeable guide. 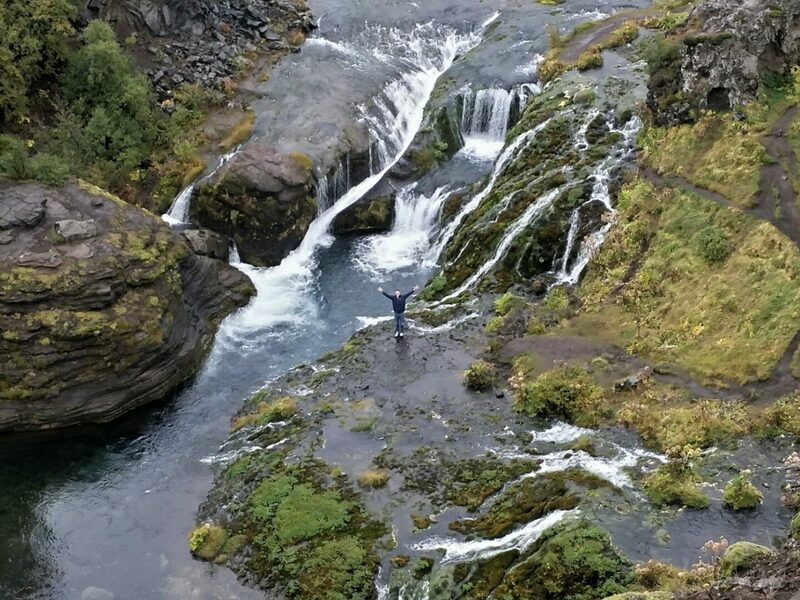 For hikers truly looking to get away from the crowds and into the wilderness, Arctic Adventures offers a two-day itinerary along the Fimmvörðuháls Trail, which passes through gorgeous Skogar (including the famous Skogafoss waterfall) and Thorsmork (the Valley of Thor). 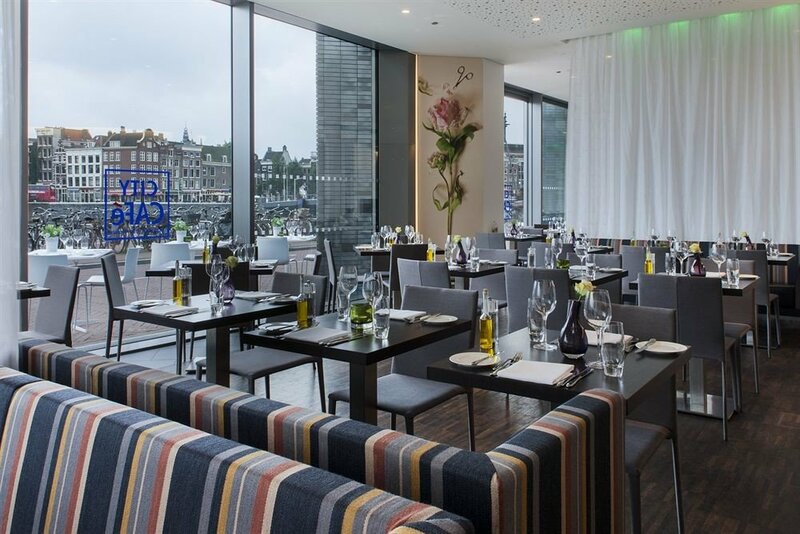 Along the way, you'll pass through glaciers, volcanoes, the remote highlands, and take part in only-in-Iceland experiences like a traditional Icelandic lamb barbecue. 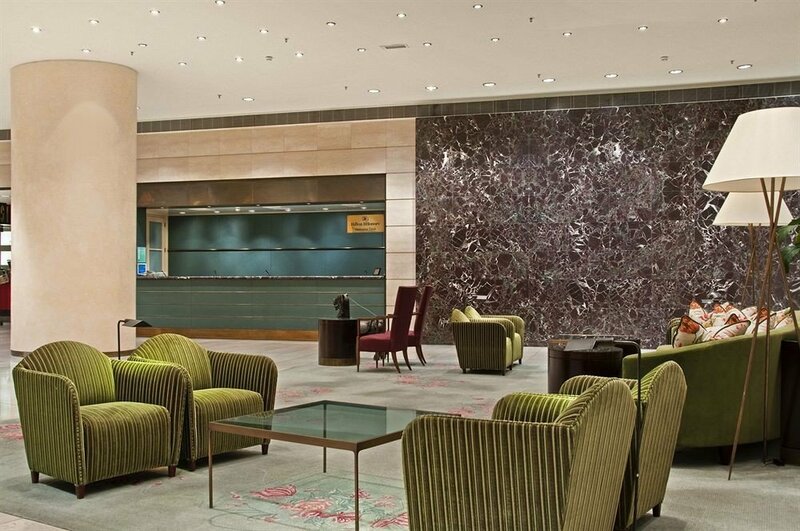 We don’t mean "no talking." 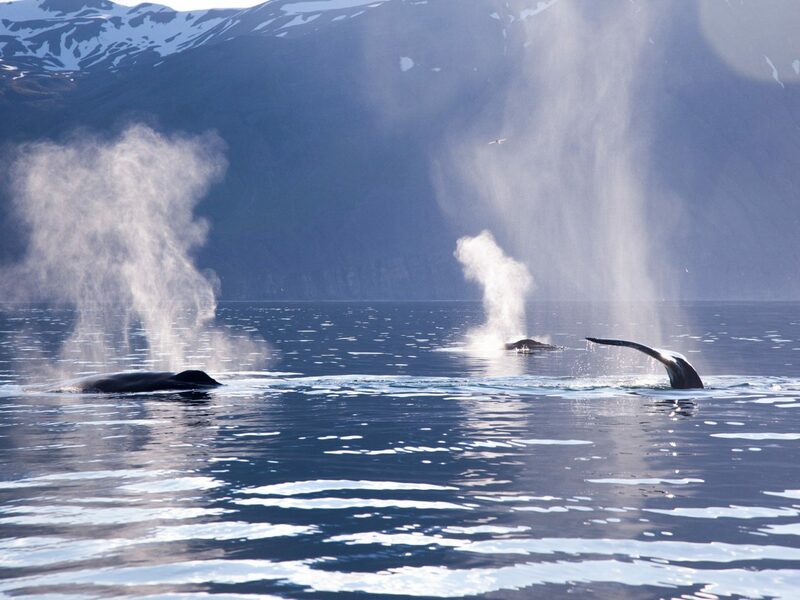 Instead, North Sailing employs carbon-neutral, electric boat to take you out into Skjálfandi Bay, where you'll get a chance to observe whales in their natural environment with the least amount of disturbance. 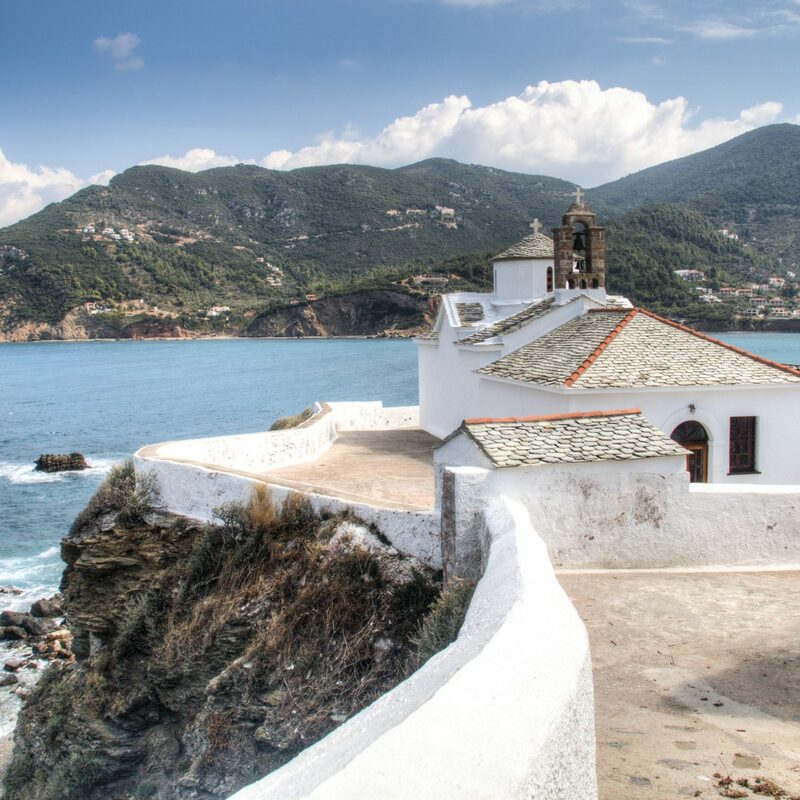 It gets better: your tour comes with hot chocolate and cinnamon buns to enjoy as you keep your eyes on the sea. 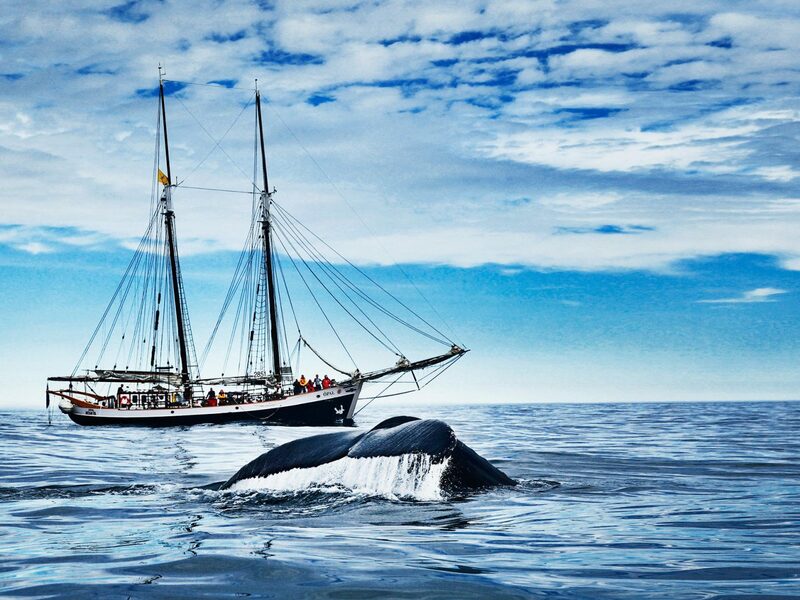 The Silent Whale Watching Tour runs around three hours, making it the perfect half-day excursion with an Earth-friendly twist. 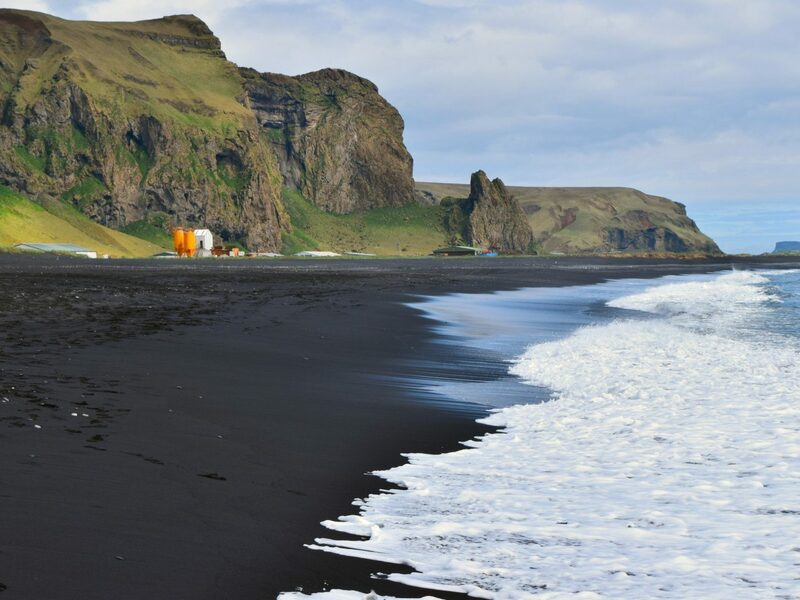 Paragliding over Reynisfjara, Iceland's most famous black-sand beach near Vík, is something many tourists don't get the chance to brag about. 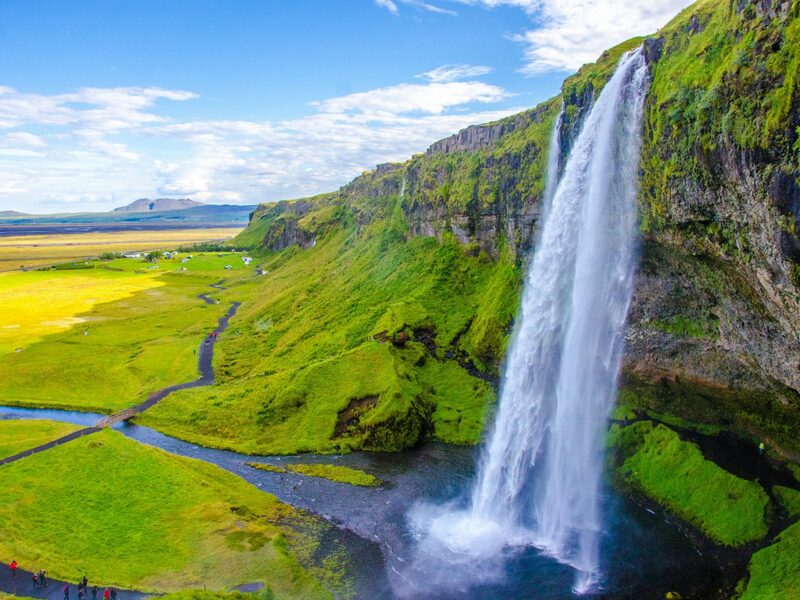 During a day tour with Happy World, you'll stop by some of the South’s most iconic sites—the Eyjafjallajökull ice cap; the Seljalandsfoss waterfall; lava and moss fields—but you can also add paragliding over the beach to your itinerary. 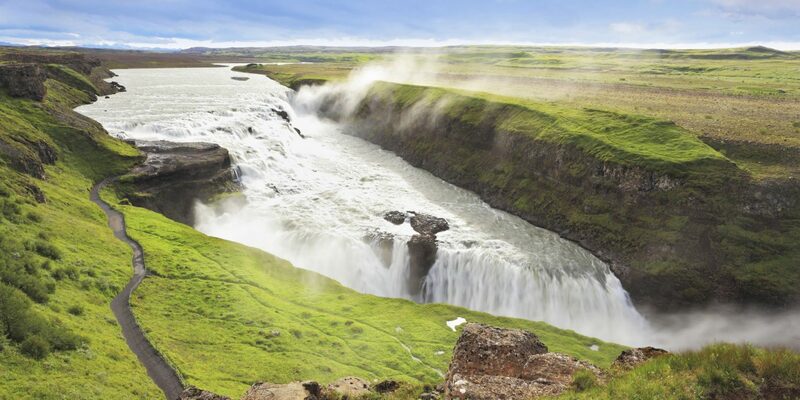 Together with an experienced pilot, you'll glide over your choice of sites (be it Skogafoss or Reynisfjara itself). 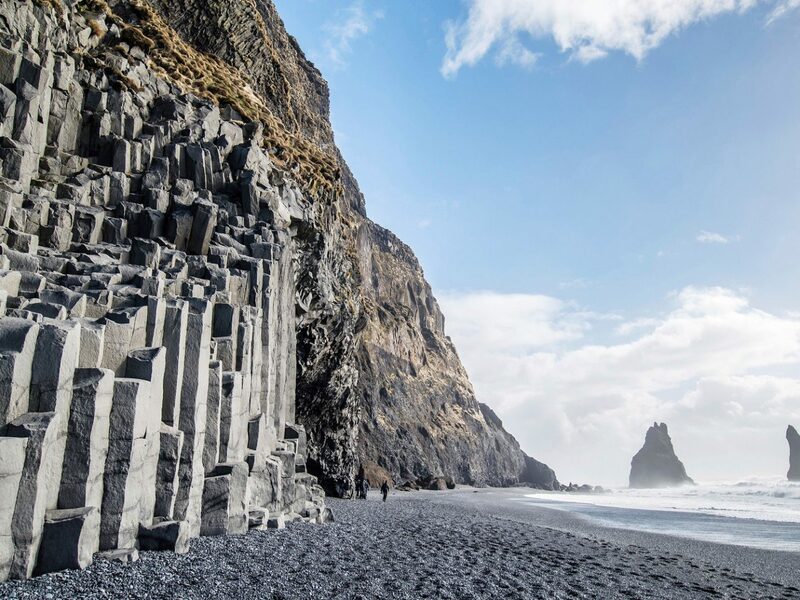 We suggest Reynisfjara: on foot, getting close to the waves is incredibly dangerous, but from above, you’ll get a completely unique view few are able to experience. 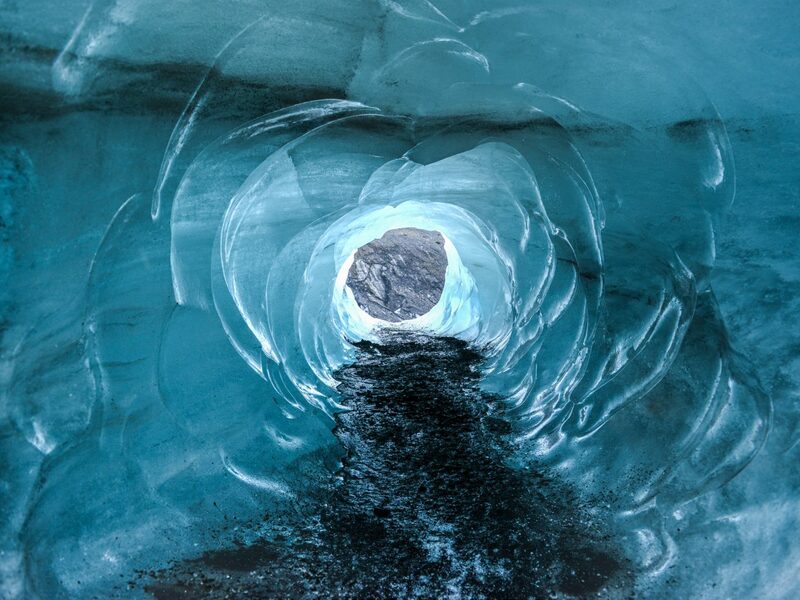 Iceland’s Crystal Caves are only accessible during the winter, when the temperatures are at their lowest (and ice conditions are safest), and, because changing temperatures cause the caves to melt in different areas, you cannot experience them without a guide. 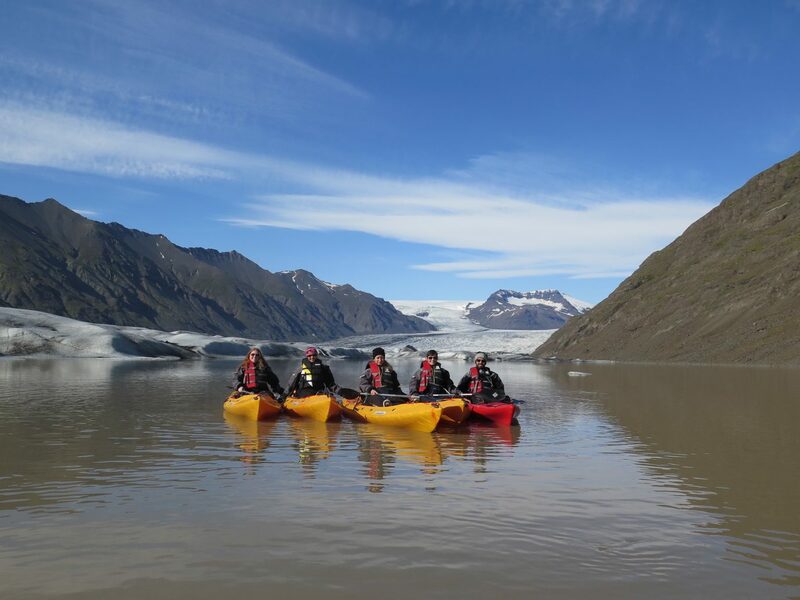 Glacier Guides offers a three-hour tour from November through March, where you'll see the caves in a way no one ever has or will again. What does that mean? 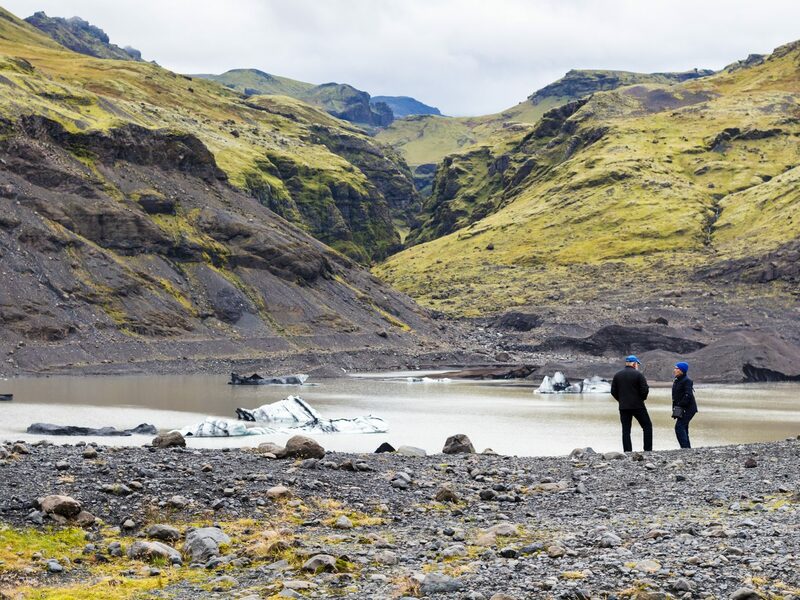 When Iceland's glacial rivers retreat during the winter, fresh tunnels are formed and an entirely new system is born every year. Take all the pictures you want, but be prepared for show-and-tell back home: the sunlight passing through the blue glacier ice is a sight that needs to be seen in person to truly be appreciated. 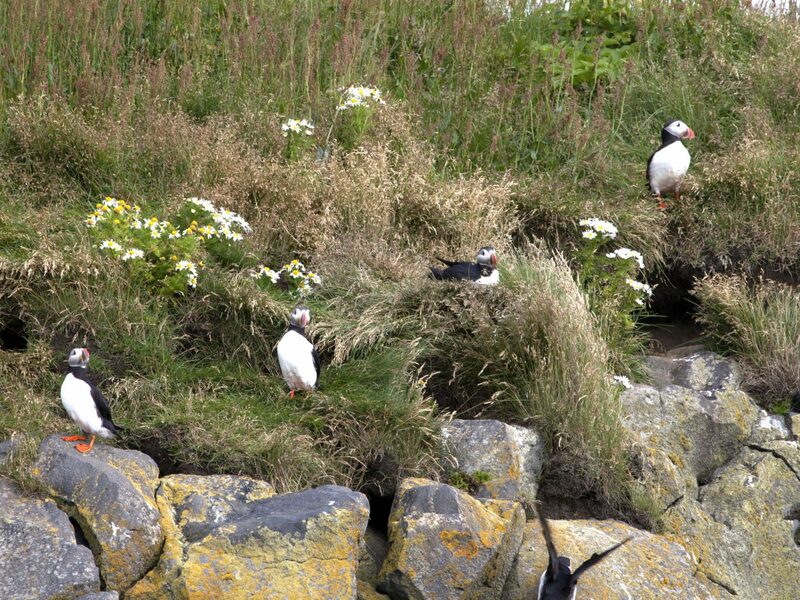 Between May and August, Extreme Iceland can shuttle you over to Akurey, colloquially known as Puffin Island—a tiny isle covered with puffins just a 15-minute boat ride from Reykjavík. 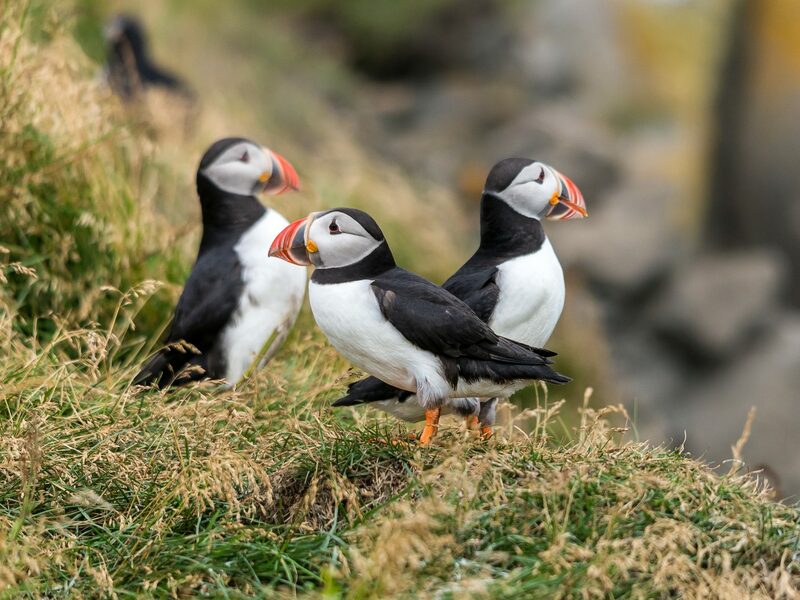 While you can’t step foot on the island itself, you’ll get more than close enough to witness and photograph these vibrant birds and their life on the steep slopes and hills. 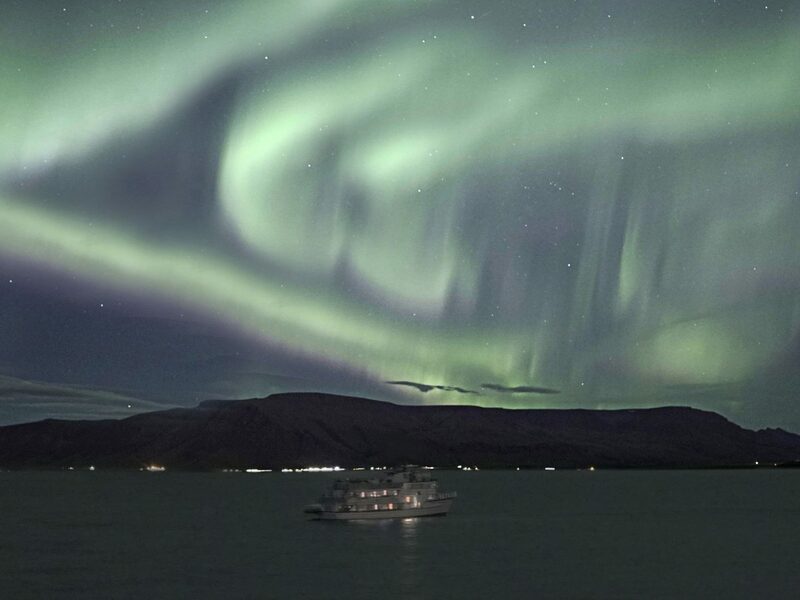 Sure, you can chase the Northern Lights in a car or on a bus full of strangers, but Iceland’s low population density makes it easy to see this natural phenomenon in a variety of ways—including on a boat. 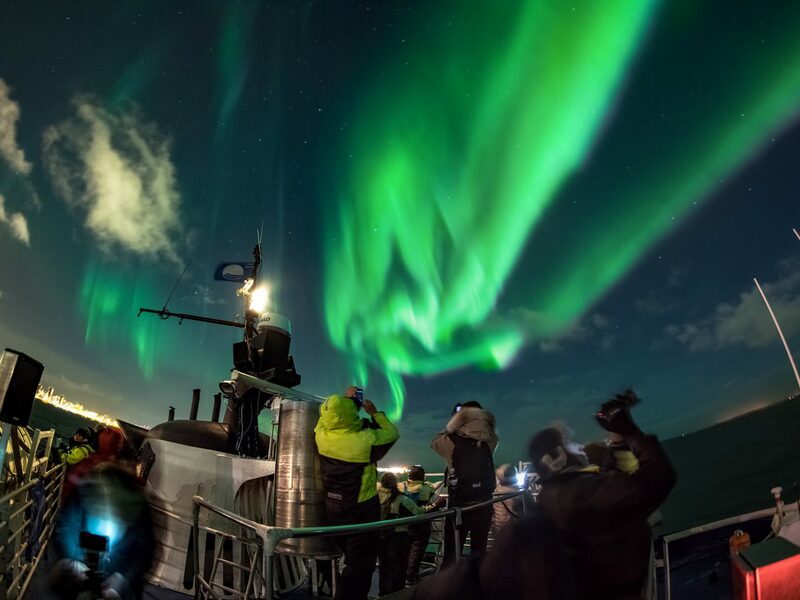 Special Tours’ Northern Lights By Boat experience sails stargazers off the coast of Reykjavík, away from the light pollution and into a tranquil scene backed by mountain ridges. 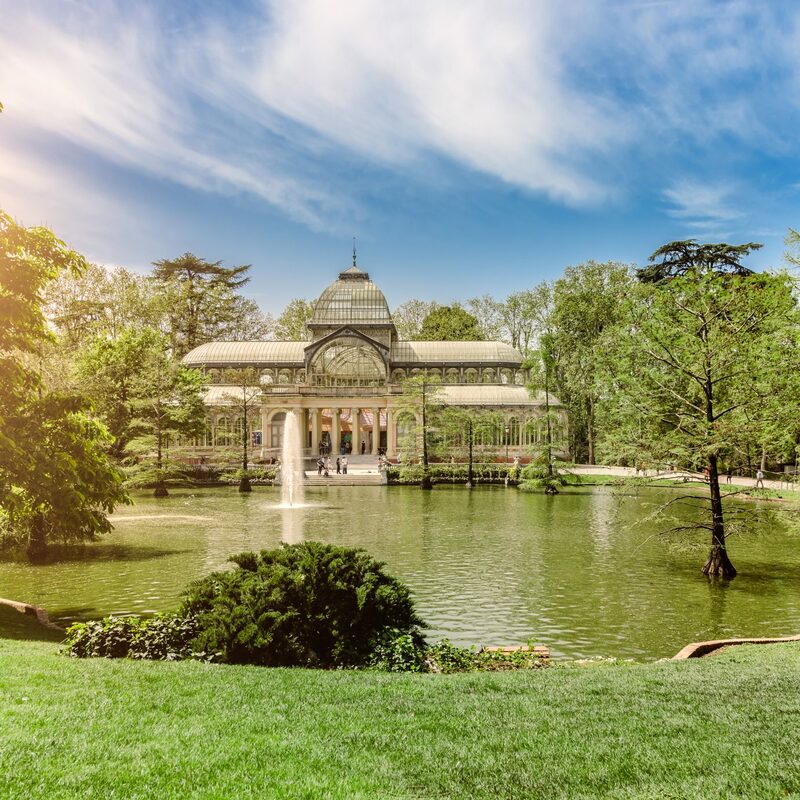 Be prepared: because you can never really predict when the lights will show up, tour times vary between two and three hours. Thankfully, the bar onboard makes the waiting game a little easier to handle. With so many remote roads and weather-dependent trails, Super Jeeps are the only vehicle that can make the trip to a lot of Iceland's hard-to-reach locations. Even with a car equipped to navigate the highlands, having someone drive you who truly knows the area is an experience well worth the cost. 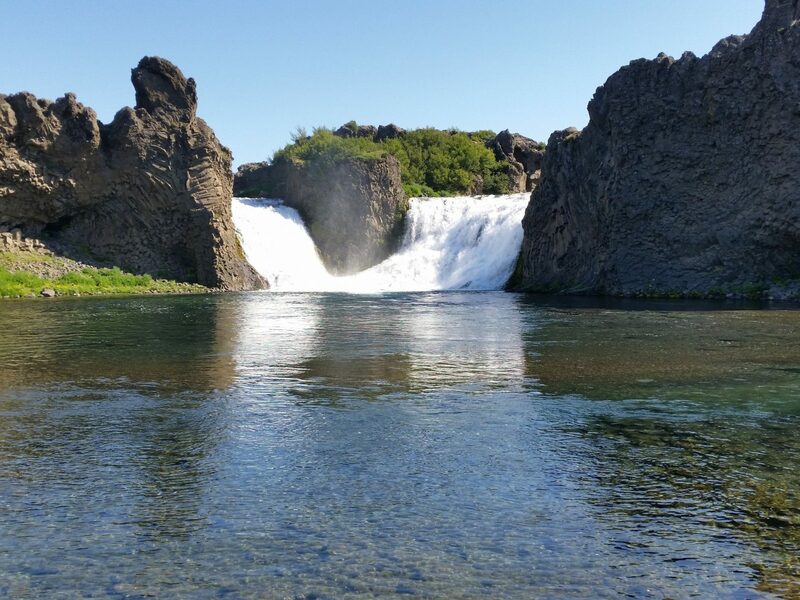 Super Jeep Iceland has a tour that will take you to lesser-visited gems like Hekla Volcano, the Cobalt Blue Lake at Ljótipollur, and Hjálparfoss Waterfall. 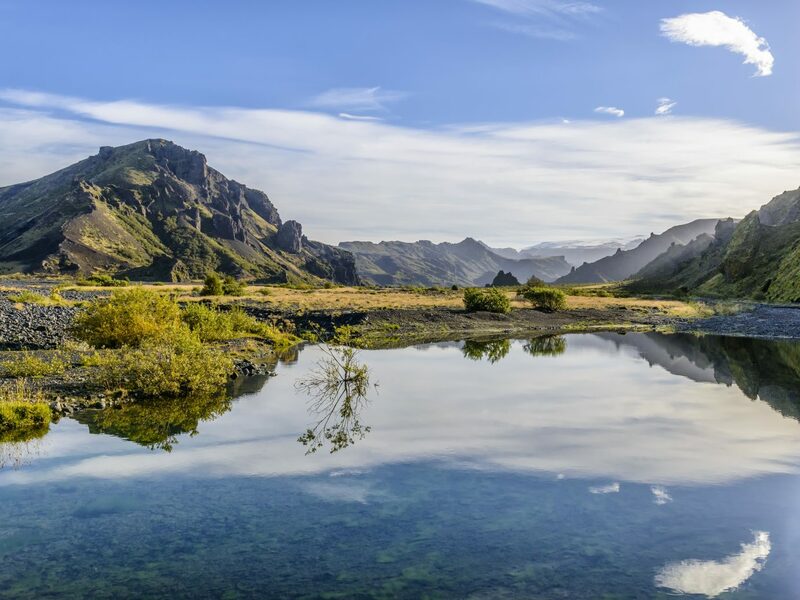 You'll even get to take a dip in a remote, natural hot spring (because you absolutely cannot visit Iceland without a midday swim). Don’t forget your swimsuit!